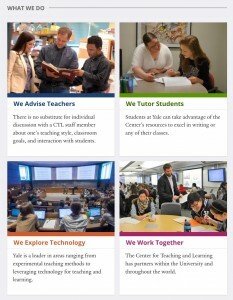 Thanks for visiting the Newhouse Group homepage! Have you ever wondered how the human brain works? We are a new group that applies synthetic and mechanistic organic chemistry to the construction of neurologically active architectures. 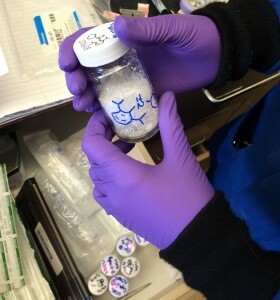 Through collaborative research, these complex molecules will be leveraged to both answer fundamental questions in neuroscience and therapeutically address neurological dysfunction. 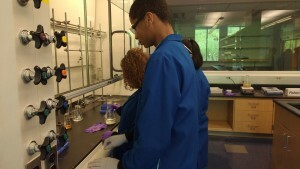 Students engaged in this multifaceted research will gain expertise in: synthetic strategy, reaction invention, mechanistic analysis, and computational chemistry. 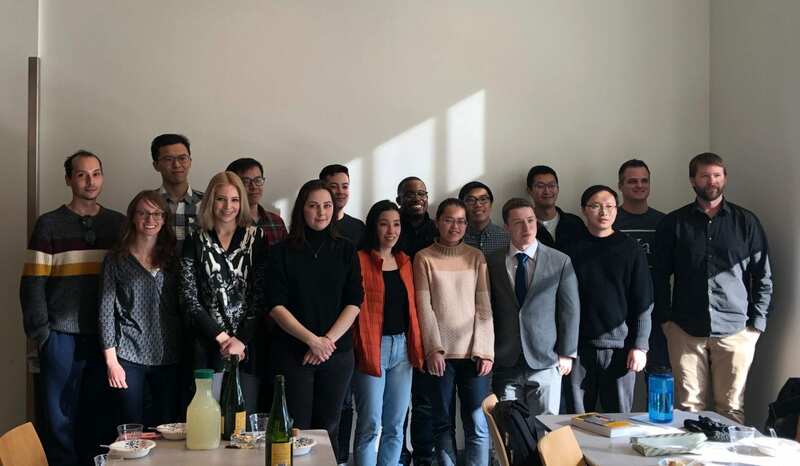 February 2019 – Congratulations to Josh for defending his thesis! 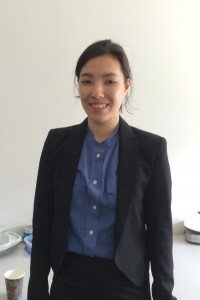 We wish you the best of luck at Jnana Therapeutics! 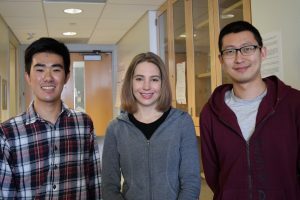 January 2019 – Congratulations to Daria and Josh on the publication of “Total Synthesis of Paspaline A and Emindole PB Enabled by Computational Augmentation of a Transform-Guided Retrosynthetic Strategy“! 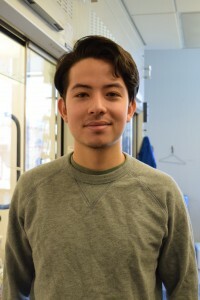 December 2018 – The Newhouse group welcomes our new first year student, Will! December 2018 – Congratulations to Masha, Anthony, and Aneta on the publication of “Computational and Synthetic Investigation of Cationic Rearrangement in the Putative Biosynthesis of Justicane Triterpenoids” in Angewante Chemie! 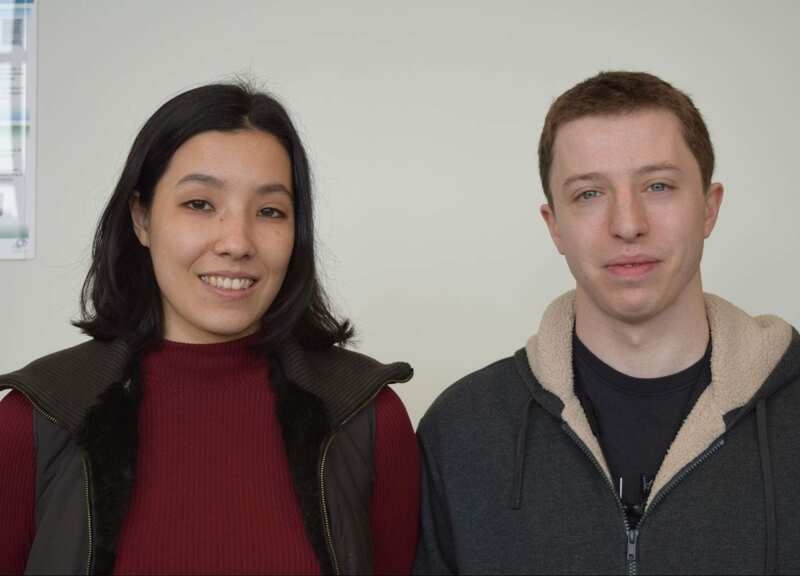 November 2018 – Congratulations to Daria and Josh on their submission of “Computationally Augmented Retrosynthesis: Total Synthesis of Paspaline A and Emindole PB” to ChemRxiv! 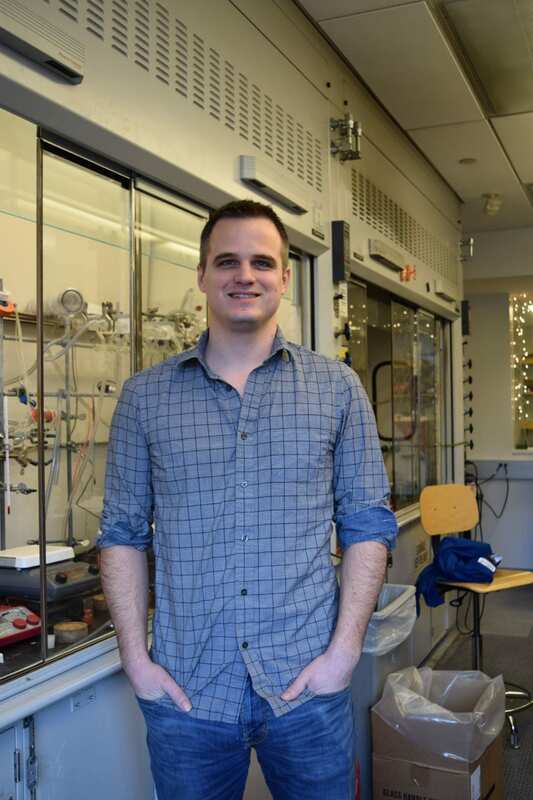 October 2018 – Congratulations to Tim for receiving a 2018 Amgen Young Investigator Award! 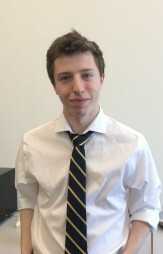 September 2018 – Congratulations to Alex for defending his thesis! 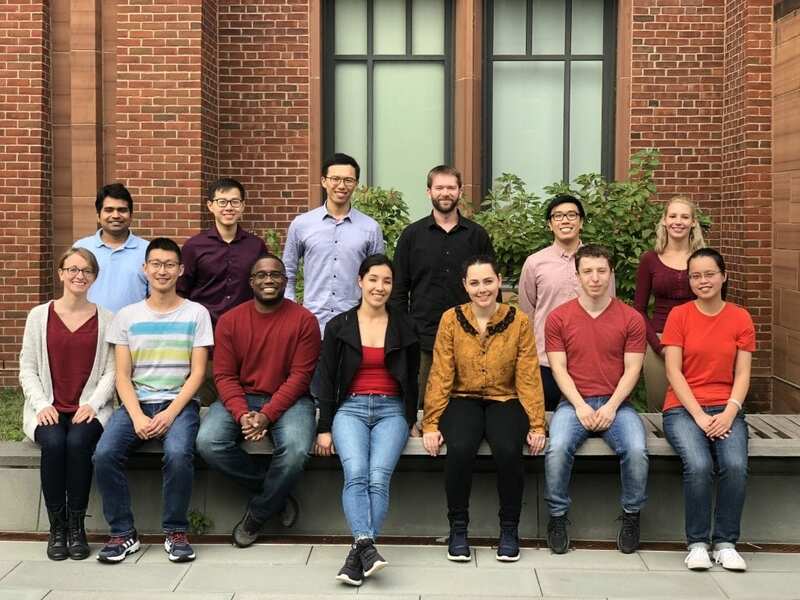 We wish you the best of luck in the Buchwald Lab! 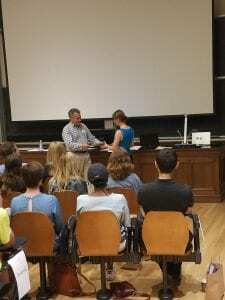 August 2018 – Congratulations to Aneta for receiving a Teaching Award, and to Suzanne for receiving the Safety Award! August 2018 – Congratulations to Masha on the publication of “Computational chemistry strategies in natural product synthesis”! 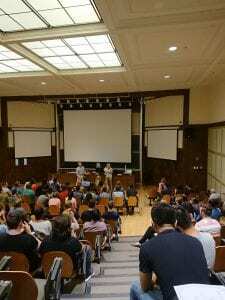 May 2018 – Congratulations to Tim for receiving the Dylan Hixon ’88 Prize for Teaching Excellence in the Natural Sciences and Mathematics! 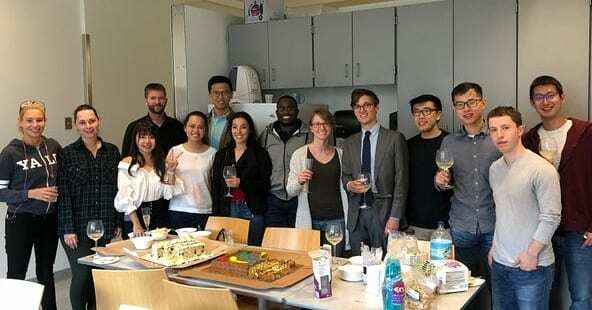 May 2018 – Congratulations to the graduating seniors of the Yale Class of 2018, Catherine, Holt, and Tom! Good luck in your future endeavors! 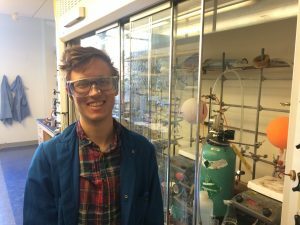 March 2018 – Congratulations to Alex on the publication of “Copper-Catalyzed Vinylogous Aerobic Oxidation of Unsaturated Compounds with Air”! February 2018 – Congratulations to Suzanne, Yizhou, and Holt on the publication of the “α,β-Dehydrogenation of esters with free O-H and N-H functionalities via allyl-palladium catalysis”! 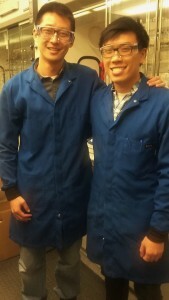 January 2018 – Congratulations to Alex, David, and Yifeng on the publication of the “Total Synthesis of (–)-Xylogranatopyridine B via a Palladium-Catalyzed Oxidative Stannylation of Enones”! 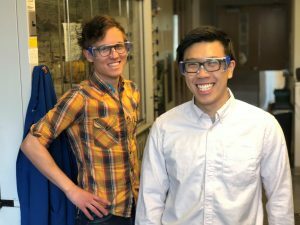 January 2018 – Congratulations to David and Yizhou on the publication of their work on the “Synthesis of Cyclic Enones by Allyl-Palladium-Catalyzed α,β-Dehydrogenation”! 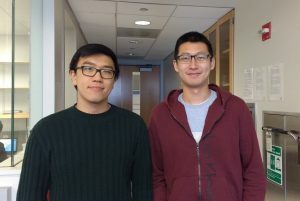 December 2017 – The Newhouse group welcomes new first years students Yannan and Yingchuan! 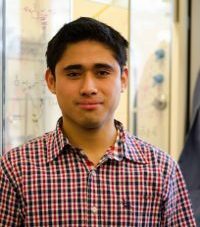 November 2017 – Abhijnan joins the group as a postdoctoral researcher. Welcome! 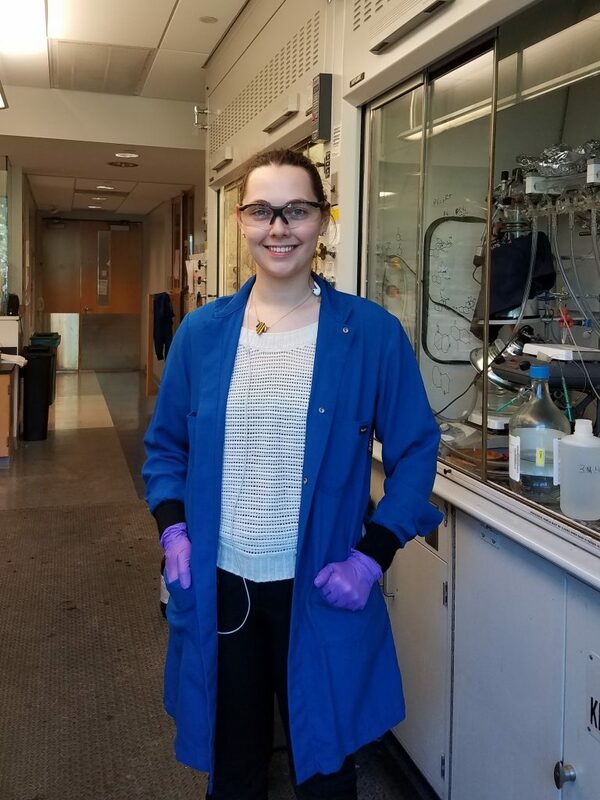 August 2017 – Congratulations to Masha on the publication of “Traversing Biosynthetic Carbocation Landscapes in the Total Synthesis of Andrastin and Terretonin Meroterpenes”! August 2017 – Congratulations to Yizhou and Yifeng on the publication of “Allyl-Palladium Catalyzed Alpha,Beta-Dehydrogenation of Carboxylic Acids via Enediolates”! 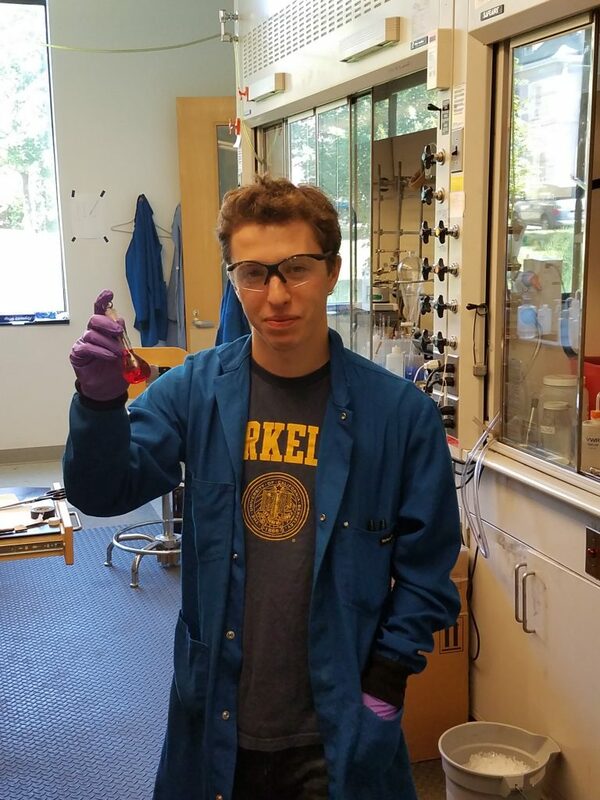 July 2017 – Congratulations to Josh on the publication of “Isomer-Specific Hydrogen Bonding as a Design Principle for Bidirectionally Quantitative and Redshifted Hemithioindigo Photoswitches”!! 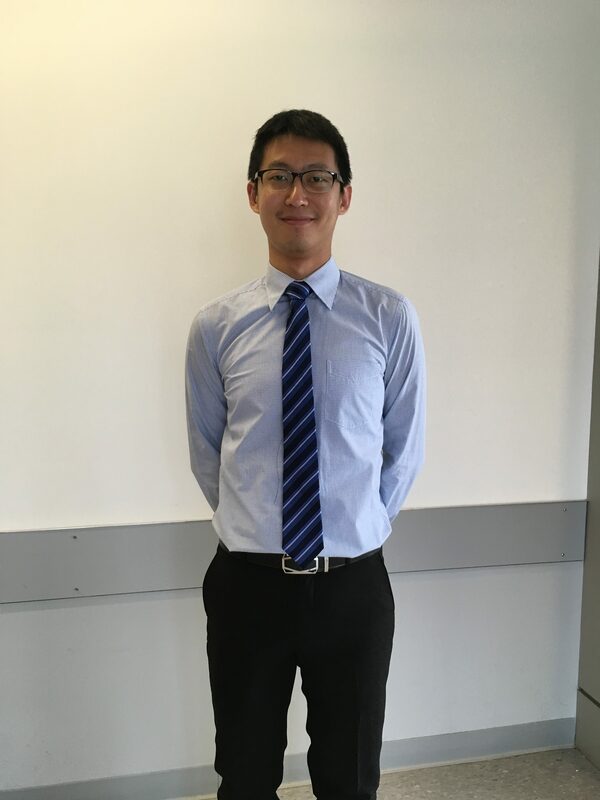 June 2017 – Congratulations to Yizhou for passing his candidacy exam! 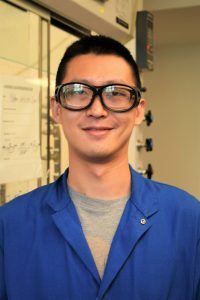 May 2017 – Congratulations to Yifeng, David and Yizhou on the publication of their work on the Allyl-Palladium Catalyzed Ketone Dehydrogenation Enables Telescoping with Enone Alpha,Beta-Vicinal Difunctionalization!! 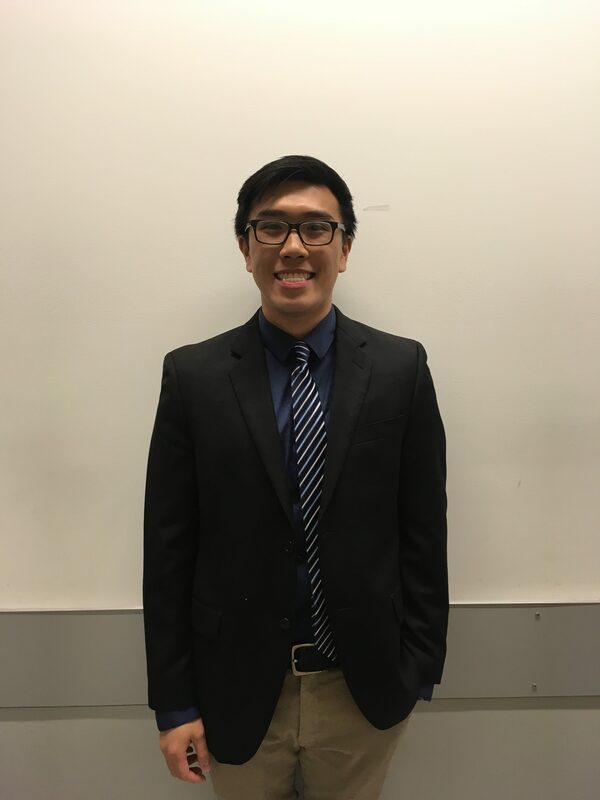 May 2017 – Congratulations to David for passing his candidacy exam! 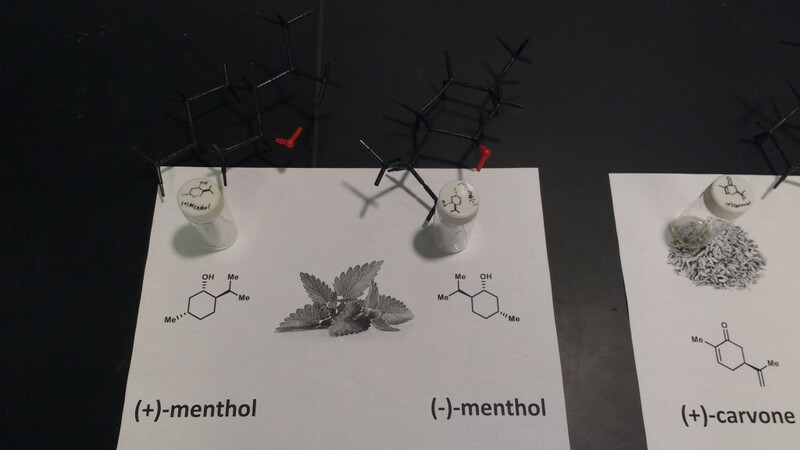 May 2017 – Congratulations to Josh and Daria on the publication of their review on Methods Utilizing First-Row Transition Metals in Natural Product Total Synthesis!! 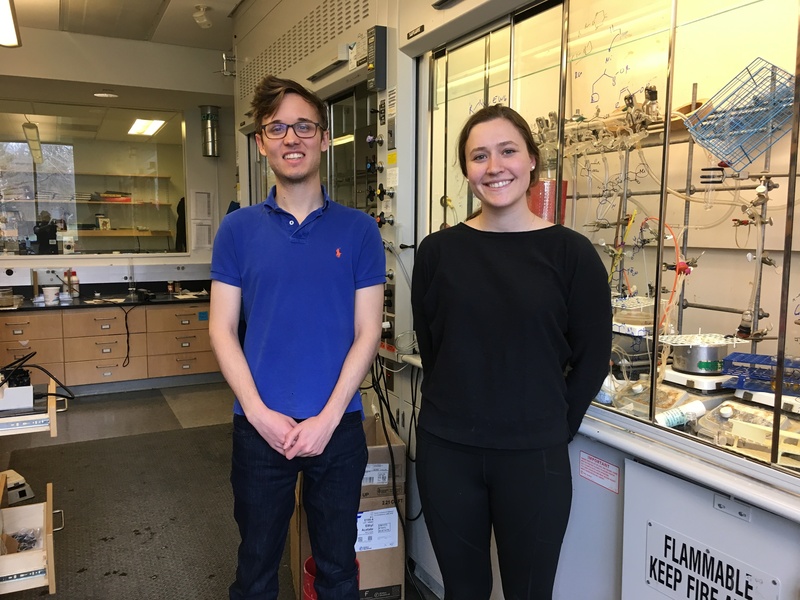 January 2017 – Congratulations to Alex Schuppe, James and Catherine on the publication of their work on the Scalable synthesis of enaminones utilizing Gold’s reagents!! 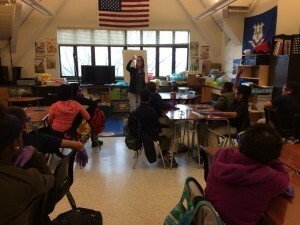 April 2017 – Tim designs and organizes Science on Saturdays. 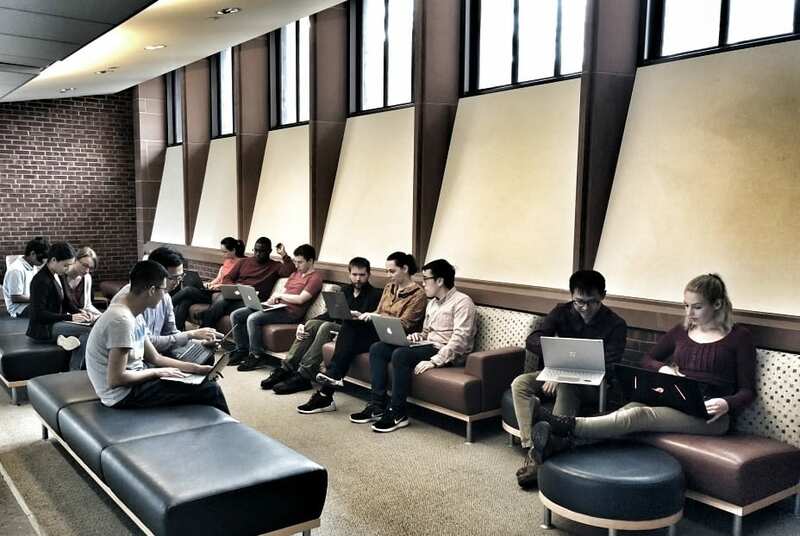 February 2017 – Newhouse Group recognized by the Sloan Foundation. 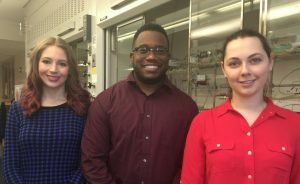 January 2017 – Congratulations to Masha, Suzanne, and Anthony on the publication of their work on the Total Synthesis of (±)-Berkeleyone A! 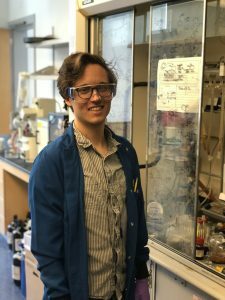 January 2017 – Congratulations to Alex Schuppe on the publication of his work on the Assembly of the Limonoid Architecture by a Divergent Approach: Total Synthesis of (±)-Andirolide N via (±)-8α-Hydroxycarapin! December 2016 – Celebrating the completion of recent natural product syntheses. December 2016 – Yifeng is selected for the Thousand Talents Plan. 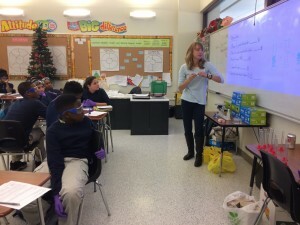 December 2016 – Tim and Aneta visit Celentano Middle School, where they teach students about density. 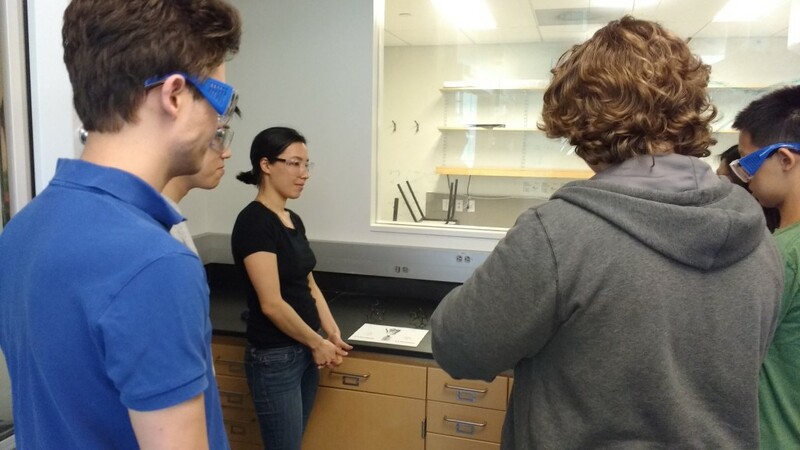 July 2016 – Photos from Tim’s flipped Organic Chemistry class are featured on Yale’s Registrar and Center for Teaching and Learning websites. June 2016 – The Newhouse group welcomes Yale undergraduate students Catherine, Diana, and Tom, who will be doing research with us this summer! 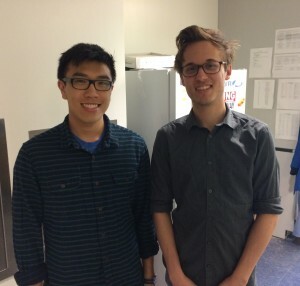 June 2016 – Congratulations to David, Alex, and Michael on the publication of their work on the Scalable procedure for the fragmentation of hydroperoxides mediated by copper and iron tetrafluoroborate salts! 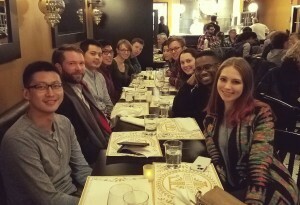 May 2016 – Congratulations to the second years (Suzanne, Anthony, Masha, Daria, and Josh) for passing their candidacy exams! 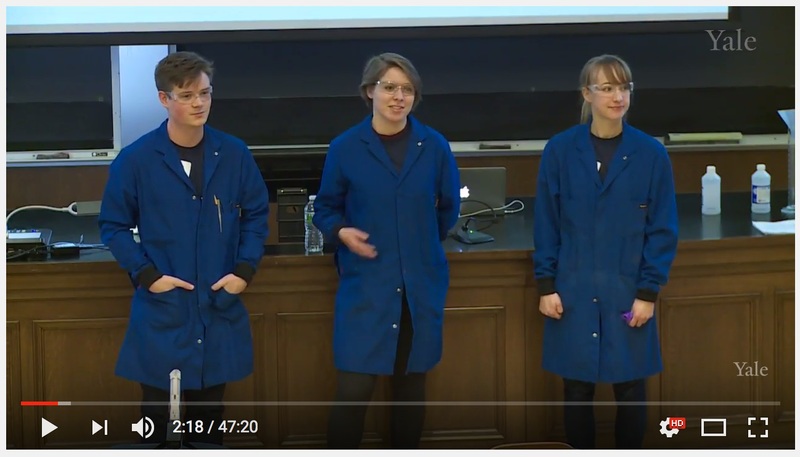 May 2016 – Daria, Alex, and David participate in Yale’s Pathways to Science Open House. Below, they teach students about chirality. 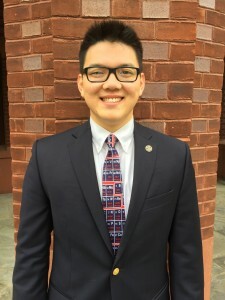 May 2016 – Michael Liang presents his senior poster before graduation. Good luck at UNC! 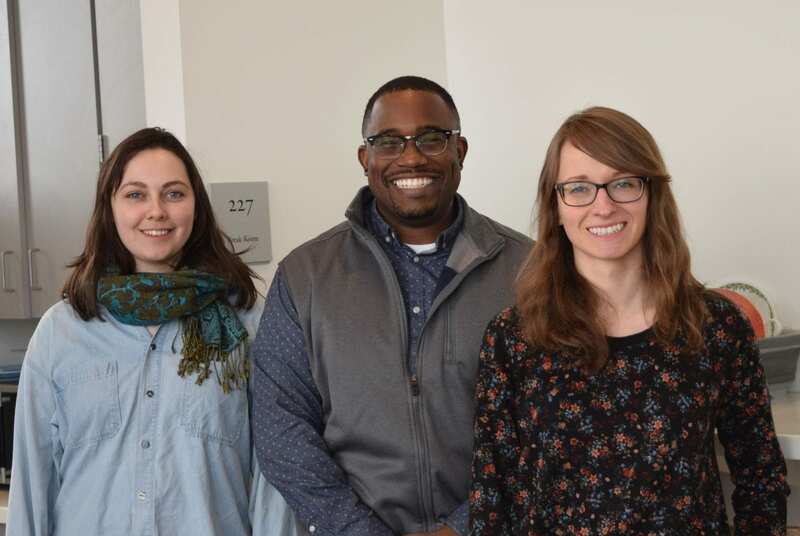 March 2016 – We received an American Cancer Society Institutional Research Grant for New Investigators studying the synthesis of carbonic anhydrase inhibitors. 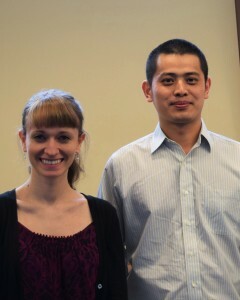 Keep up the good work Aneta, Yifeng, and Nandini! 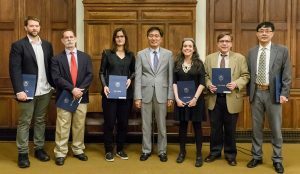 Many thanks to the ACS and to the Yale Cancer Center. 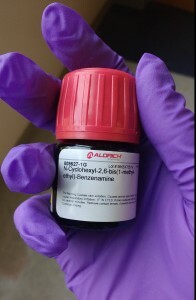 January 2016 – CyanH, the precursor to the amide base used for Pd-catalyzed dehydrogenation, has been commercialized by Sigma Aldrich! January 2016 – Congratulations to Yifeng and Aneta on the publication of their work on Amide α,β-Dehydrogenation Using Allyl-Palladium Catalysis and a Hindered Monodentate Anilide! 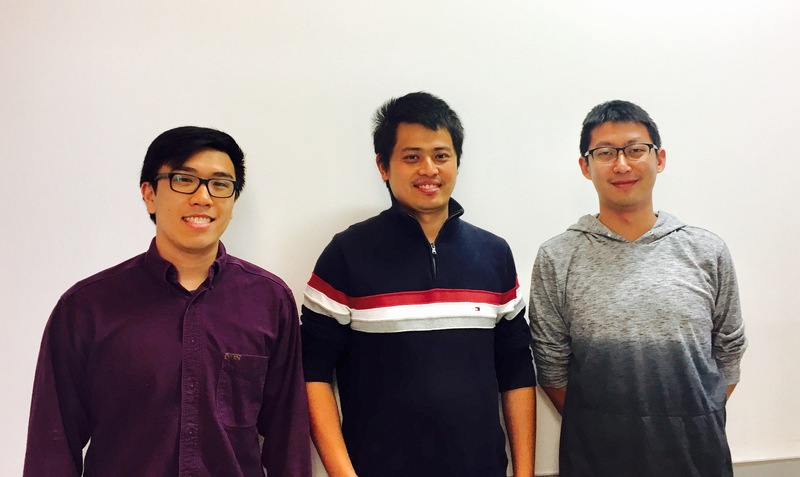 December 2015 – We welcome new first year students David Huang and Yizhou Zhao! November 2015 – Congratulations to Aneta and Yifeng on the publication of their Synpacts review regarding dehydrogenation methodology! 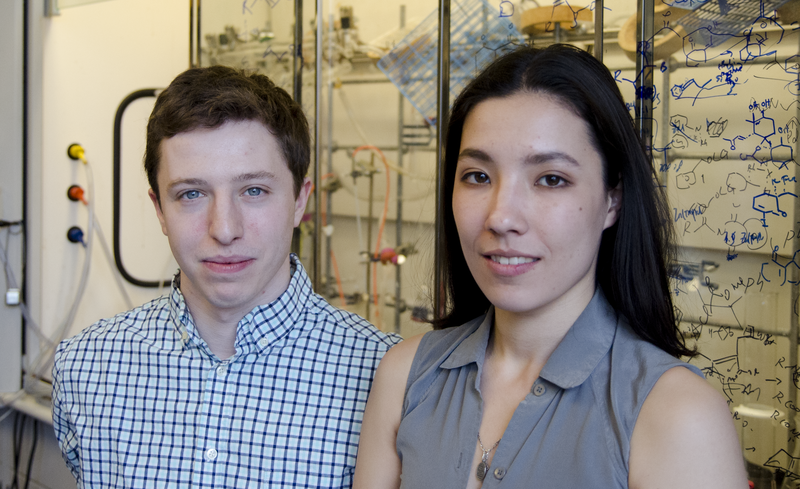 June 2015 – The Newhouse group welcomes new undergraduate students Holt Sakai and Ella Belina! 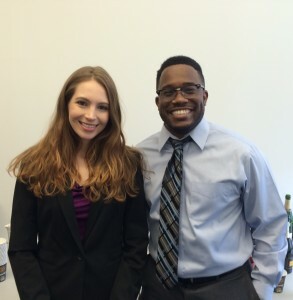 May 2015 – Congratulations to Alex and Aneta for passing their candidacy exams! 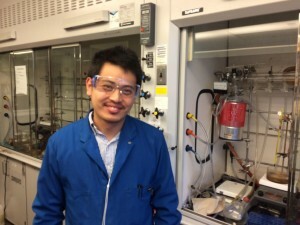 April 2015 – Congratulations to Yifeng and Justin on the publication of their work on the Palladium-Catalyzed α,β-Dehydrogenation of Esters and Nitriles in JACS! 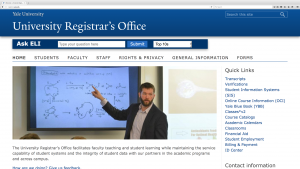 March 2015 – Tim’s organic chemistry class is featured in YaleNews! 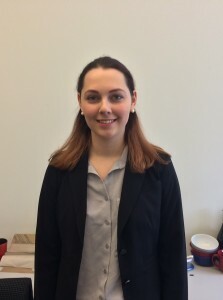 March 2015 – Aneta’s research is highlighted by the NSF as part of Women’s History Month #WomenInStem #GRFP! 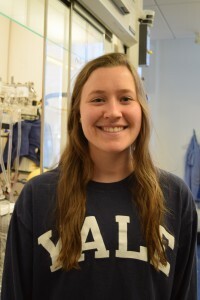 July 2014 – The Newhouse group is featured in Yale Scientific!